Modern healthcare industry is crowded with patients, Doctors, nurses, healthcare technicians and other administrative staff handling their daily chores of work. Hospitals need coordination and communication in their day to day operations to provide effective services to their patients. There should be effective communication between staff members internally and externally with patients and stakeholders. 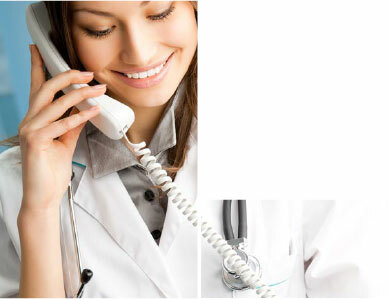 To make appointments between doctor and patient simple and fast. To provide instant emergency services for the patients at the right time with a simple and effective solution. To provide necessary feedback to the hospitals from the patients that will enable them in deciding their future course of actions. To ensure doctors and patients never miss their respective appointments and by providing reminders from time to time. By avoiding long queues for the patients and sending their respective medical reports through SMS instantly. 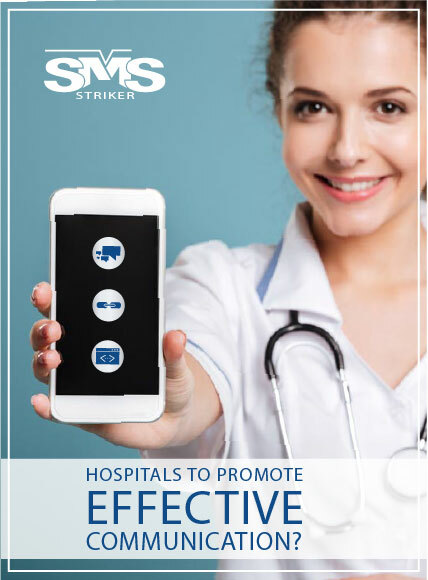 SMS Striker suggested for using following services as per Hospital's unique requirements. To make appointments easy and simple by using SMS Striker’s Long Code that helps patients to seek appointments to a particular doctor of their choice. Using SMS Striker’s Long Code for Emergency Services as by providing a keyword patients can send dedicated Long Code to provide assistance at times of emergency. To provide feedback by using SMS Striker’s survey forms or IVR solutions as the hospitals can create a survey that will help patients to provide instant feedback in regard to their processes. Appointment reminders by Integrating SMS Striker's API with hospital's CRM software. Sending patients reports by using SMS with short url where in, the hospital can send the reports to the patient's instantly. Able to manage better day-to-day operations.